While all of our Svalbard tours are photographic specific, the photo tours during the months of September are aimed at those who want to experience and capture the remarkable light of the Arctic Autumn. 2018 was the first year that these types of photo expeditions were incorporated and have proved to be so popular that the trips for 2020 are almost already sold out! 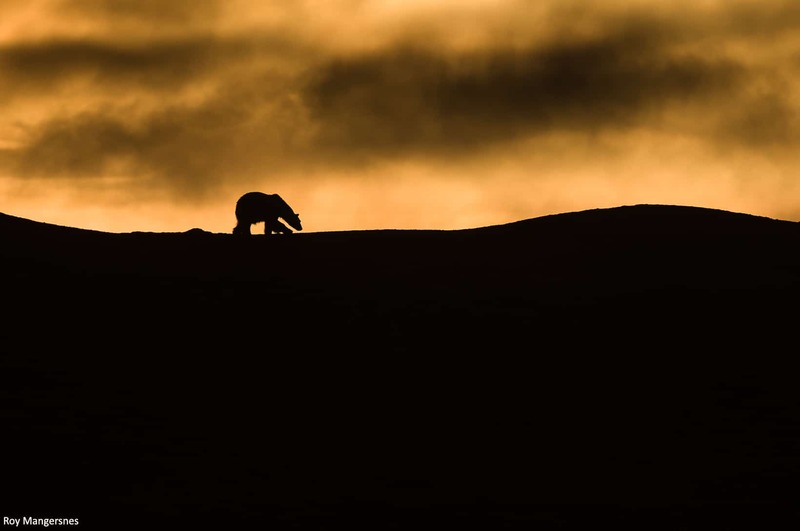 We caught up with ORYX Photo Tour Partner Audun Lie Dahl, who was on the first Autumn photo safari this year, for some insight into this trip, as well as the sights that were captured. 1. Your team is already well established with regular Winter and Classic Svalbard photo tour expeditions. What made you decide to incorporate an Autumn Light departure? The early autumn months are low season for regular cruise operators but for photographers, this time of year is ideal. Sunrises and sunsets return after 3 months of the midnight sun and with these conditions, the lighting opportunities are out of this world. It’s also a good time for mammal sightings! 2. The Autumn Light photography tour was launched in 2018 and the first tour sold out so fast that another one was created to make space for additional bookings. Why do you think this trip is so high in demand? 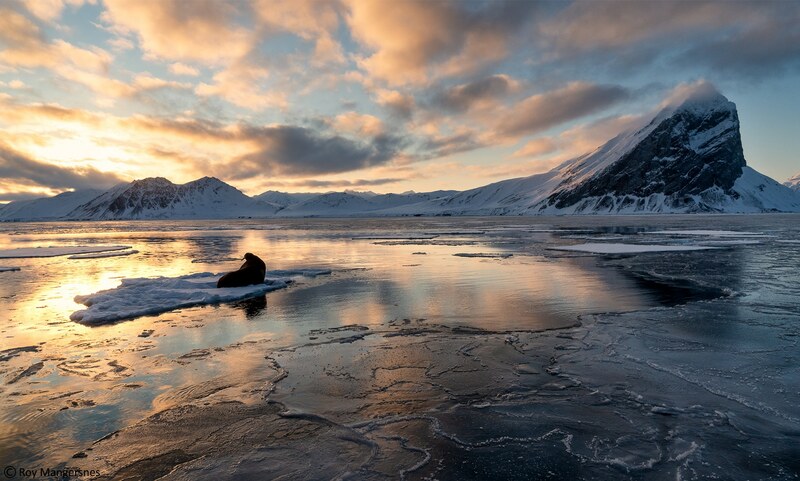 Tour operators don’t normally run Svalbard tours during this time of year and as photographers always chase after the golden hour, designing a tour during this period was the perfect solution. Not only does it offer a different aspect to Svalbard but autumn in this part of the world is really something special! 3. As you were on the first autumn Svalbard tour this year, what was the highlight during your time cruising around the archipelago? Svalbard never stops to amaze me as every trip yields something new and unexpected on every time, whether it be animal behaviour or lighting conditions. The highlight on this photo tour were the stops at Kvitøya and Kræmerpynten, the eastern most points of Svalbard, which are rarely visited. We hit the jackpot as the lighting conditions were amazing and the wildlife sightings superb. 4. 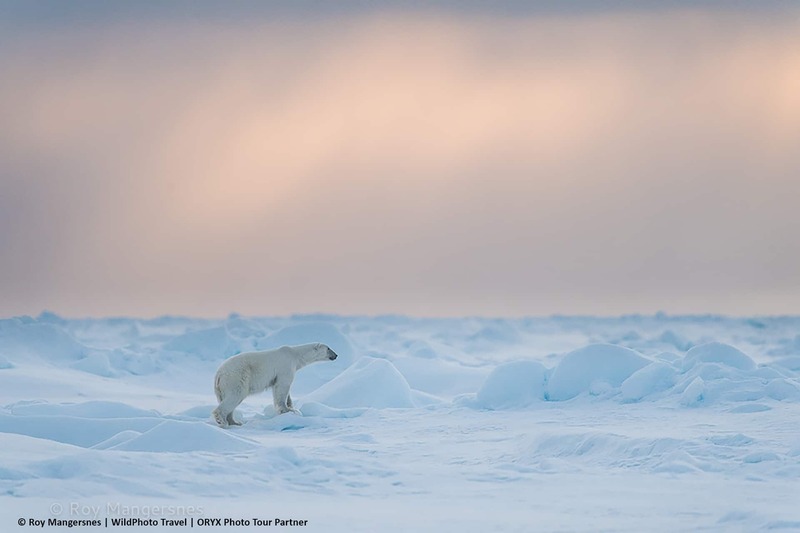 How does this specific Svalbard photo tour differ to the Classic and Winter photography expeditions that are on offer when it comes to the weather, wildlife and lighting conditions? Autumn is more definitely more colourful. The sky explodes with beautiful colours but it’s the red, saturated sunset that is different from all other seasons. Birds start to leave their nesting grounds, therefore the bird cliffs are relatively quiet. However, it is still the best time of the year to spot Ivory Gulls on the ice, and there are also good opportunities to capture varying species of Skuas. 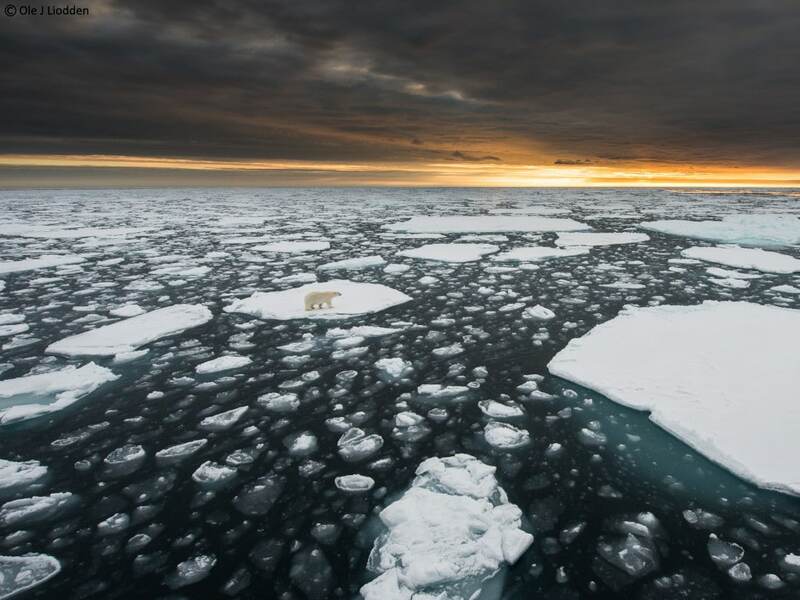 Polar Bears are still found roaming on drift ice or on the mainland, while Walrus congregate ashore in large groups, known “haulouts.” The days are also starting to get shorter and with the shift of the season, the ice starts to freeze over again. 5. For who would this Svalbard tour be ideal for? This Svalbard expedition is ideal for all nature lovers who are interested in Arctic wildlife or landscapes but it still remains a photography specific tour. 6. What is a typical day like on the expedition ship? Day to day on the ship varies, therefore expect the unexpected! It always depends on what we spot on the ice or swimming among the drift ice, all while cruising around Svalbard. We do, however, plan the day ahead depending on the ice, weather and lighting conditions. Our captain is constantly checking these conditions and we then strategize on what our course will be. We also try as often to use our two zodiacs to get closer to wildlife for the best photo opportunities and shoot from the dingy but also use them for landings around the archipelago. 7. Giving the proximity of wildlife and lighting conditions, what sort of lenses are ideal for this type of photography tour? For a Svalbard tour, I recommend to always bring a wide angle, a normal lens and also a zoom or telephoto lens to capture all the scenery, from outstretched glaciers to Arctic wildlife. I normally carry a 14-24mm, 24-70mm, 70-200mm and 400mm. 8. If you had to choose, what was the favourite image you captured during this Svalbard photo tour? This autumn photo safari must be one of my favourite trips ever because of the exceptional wildlife opportunities but if I have to choose one photo is must be the waterfalls on the Austfonna glacier in stunning evening light. Sign up for a Svalbard tour!